Award-winning children's and young adult literature, fun government document sites, and more! 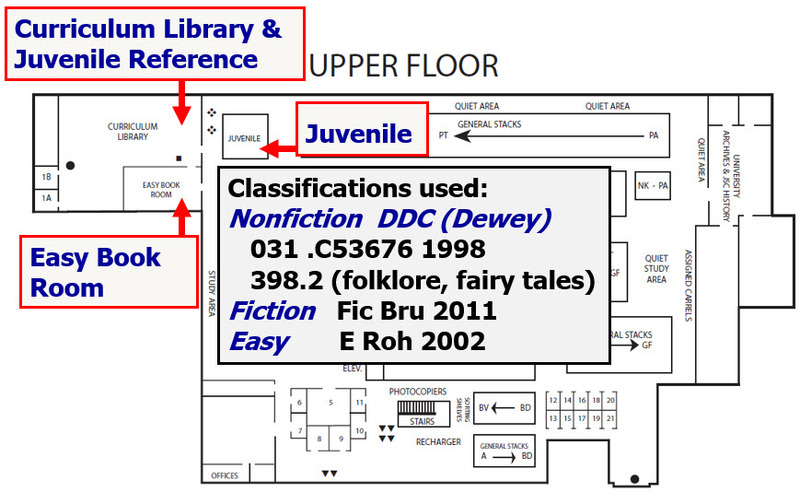 Find UHCL Juvenile subcollection works by genre with these Library Catalog shortcuts. There may be some false matches. See Library Catalog's detailed records for awards notes as some false matches may occur. Classification numbers used for children's fiction may not be unique. Write down or remember the author's name. When you get to the right shelves (Juvenile Fic Wil in this example), books are filed alphabetically by author, then subfiled by title. The date is ignored.